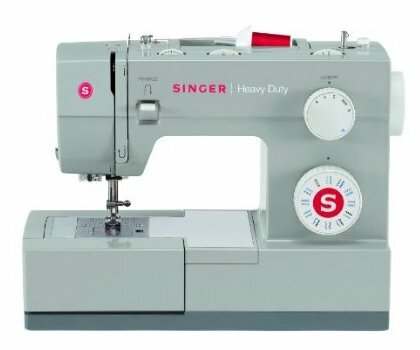 They’ve been making some of the best models available for decades, and they’ve built on their already amazing reputation with the introduction of the Singer 4423 Heavy Duty Model Sewing Machine. This model is one of the toughest sewing machines that we’ve ever reviewed, and real life customers have been making sure that these machines have been flying off the shelves. If you had to compare a sewing machine to a car, the Singer 4423 Sewing Machine would be comparable to a classic muscle car. It’s built with a heavy duty durable metal frame that’s made to last for years. And when it comes to power, the Singer 4423 certainly has it going on under the hood. 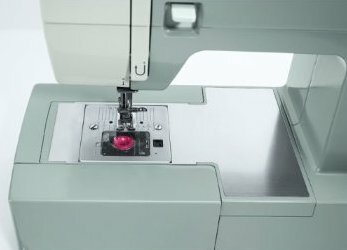 This is simply one of the highest speed sewing machines that you’ll ever get your hands on. Just make sure you buckle up before you start your next sewing project – it really is that fast. Singer has put everything a serious minded seamstress or sewing enthusiast might want in this sewing machine. It may not have all the bells and whistles of some of the fancier sewing machines on the market, but it is built to stitch consistently and with quality for years to come. It’s always nice to know that Singer puts their money where their mouth is too, because you just can’t beat their 25 year warranty. In checking out the Singer 4423 Sewing Machine reviews from real life customers, we found that this model has quite a few fans. The rating for this model is 4.5 stars out of 5 stars. 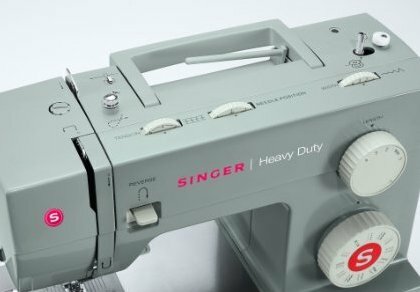 Customers have commented about using the Singer 4423 for everything from minor hemming to reupholstering leather seats. As you can tell from those examples, the Singer 4423 Heavy Duty Model Sewing Machine is a powerful sewing machine that’s made for serious work.